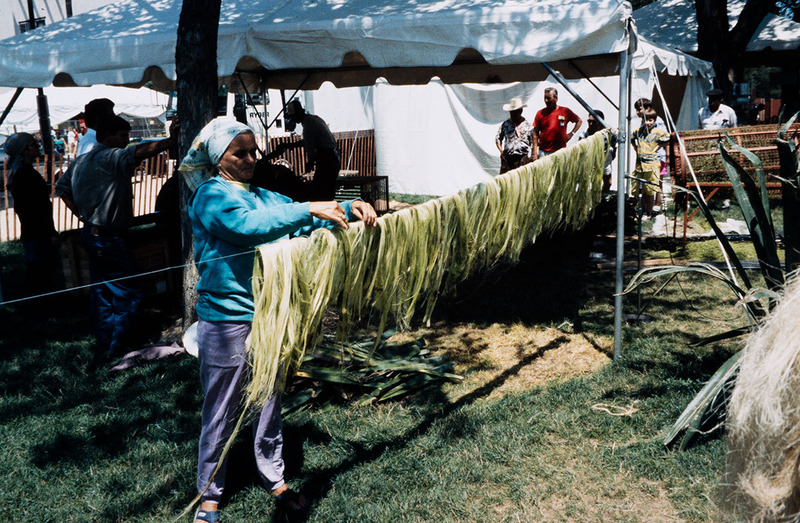 1994 Festival of American Folklife, The Commonwealth of the Bahamas program (FAF1994_0012). 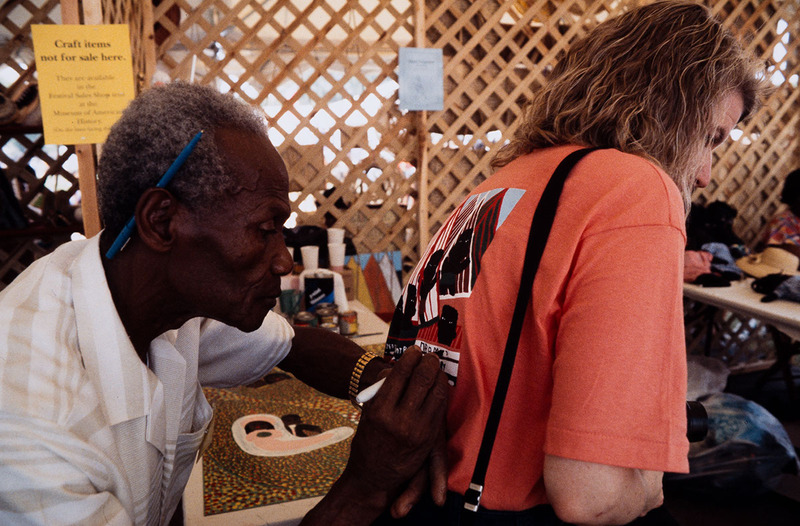 1994 Festival of American Folklife, The Commonwealth of the Bahamas program (FAF1994_0407). 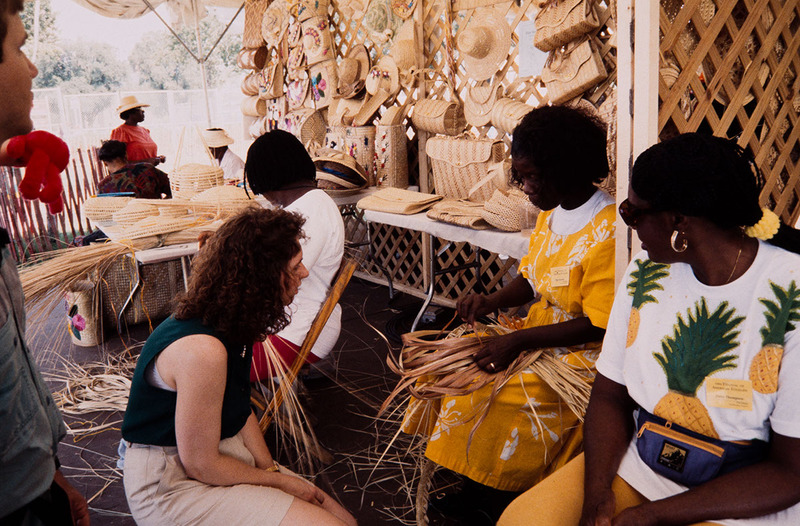 1994 Festival of American Folklife, The Commonwealth of the Bahamas program (FAF1994_0434). 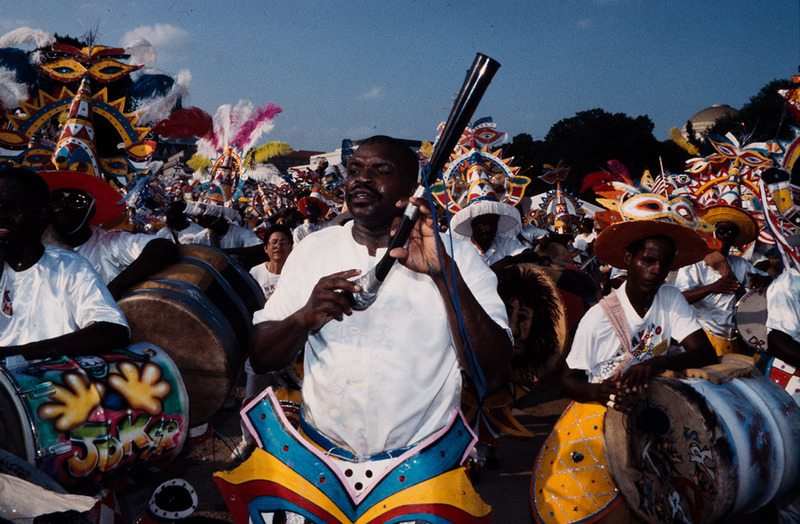 1994 Festival of American Folklife, The Commonwealth of the Bahamas program (FAF1994_0743). Photo by Hugh Talman. Courtesy of the Ralph Rinzler Folklife Archives and Collections, Smithsonian Institution. 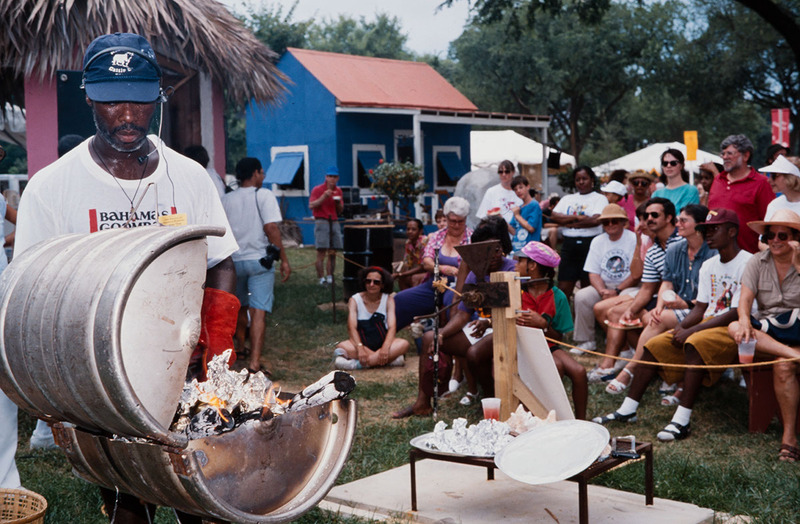 1994 Festival of American Folklife, The Commonwealth of the Bahamas program (FAF1994_0944). Photo by Smith. Courtesy of the Ralph Rinzler Folklife Archives and Collections, Smithsonian Institution. 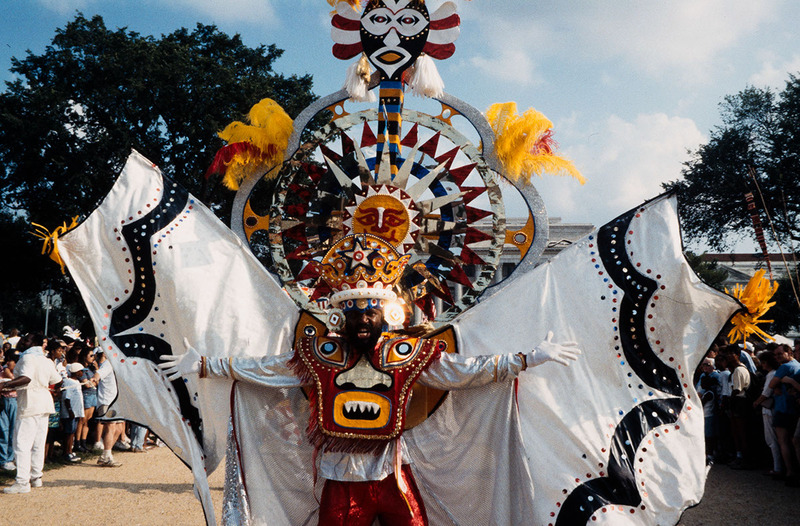 1994 Festival of American Folklife, The Commonwealth of the Bahamas program (FAF1994_0982). Festival visitors could discover how a rich and vibrant Bahamian culture has evolved in its islands over the past four centuries, shaped by the forces of migration. After the Spanish removed the last of the indigenous Lucayans to work elsewhere in the Caribbean, the archipelago was settled by English who had left Bermuda for greater religious freedom and brought enslaved Africans with them. After American independence, British Loyalists and their slaves arrived from Virginia, the Carolinas, and Georgia. In the 1820s, Black Seminoles escaped from the Florida coast and settled on the island of Andros. Throughout the 19th century, British ships freed Africans headed for slavery in the Americas and gave them land in The Bahamas. In the 1880s, tourists from the United States, en route to Havana, began to stop in Nassau, and hotels instituted racial segregation to accommodate them. Chinese, Syrian, and Greek immigrants, as well as people from throughout the Caribbean moved to The Bahamas, and Bahamians traveled to Europe, the United States, and Panama, primarily in search of work but for schooling as well. Although White Bahamians made up less than 15 percent of the population in 1994, they dominated politics until majority rule in 1967. All of these people from Britain, Africa, U.S. African American and British American communities, Asia, and the Caribbean have had to develop strategies to survive in The Bahamas, and to adapt their cultures to local realities. It was these strategies that were presented at the Festival program. Bahamians expressed their creativity using local materials and themes. Communities throughout The Bahamas have developed their own specialties in crafts and foods, sacred and secular music, storytelling and narrative traditions, and their own particular accents. Over the year leading to the Festival, a team of Bahamian researchers knowledgeable in the history and culture of The Bahamas worked with the Smithsonian to assess and document contemporary traditional Bahamian culture, on display for Festival visitors to experience, learn, and enjoy. John Franklin and Gail Saunders were Curators of the program; Angela Cleare was Project Coordinator in The Bahamas. Emily Botein served as Program Coordinator and Amy Andrus as Assistant Program Coordinator. An Advisory Committee included Angela Cleare (Chairperson), Stan Burnside, Philip Burrows, Kayla Olubumni Lockhart Edwards, Everette Hart, Willamae johnson, Kim Outten, Maxwell Poitier, Gail Saunders, Rosemae Thompson, and Grace Turner. The Bahamas was made possible with the collaboration of the Commonwealth of The Bahamas Ministry of Tourism and the Department of Archives, with support from Barclay's Bank, the Private Trust Corporation, and Syntex Pharmaceutical International Ltd.